3. Update the installed packages and package cache on your instance. 5. Install the most recent Docker Community Edition package. 6. Start the Docker service. 7. Add the ec2-user to the docker group so you can execute Docker commands without using sudo. 2. If not, update to same version from WordPress admin page. Sometime, it does not work, you might have to do a manual update just as I did. move the new wp-includes and wp-admin directories to your web host, in place of the previously deleted directories. Once you complete those commands, you can launch the WordPress page again by entering the public ip address of your EC2 instance. You will be prompted to upgrade mysql database. Just click yes to continue. 3. Export your Existing WordPress site through plug-in: All-in-One WP Migration to local file. 4. Install plug-in: All-in-One WP Migration into your new WordPress site. But it has file upload limitation. 5. You can click How-to: Increase maximum upload file size to get a couple of methods to change it. 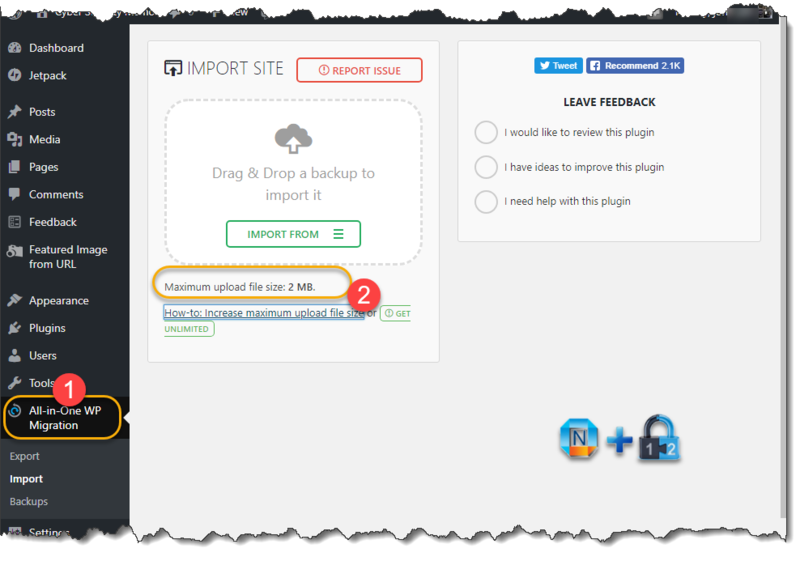 The easiest way to do it is to install another plugin All-in-One WP Migration Import from https://import.wp-migration.com. The basic version can give you a limitation for 512MB, which is enough for most personal websites/blogs. 6. After imported your exported file, there are still a couple of steps to do to complete whole migration. 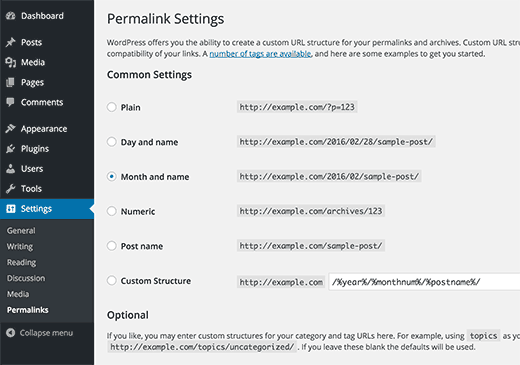 6.1 Settings -> Permalinks. It is best to change to something else for your Permalink Settings and save, then change it back to what you original set up and save. 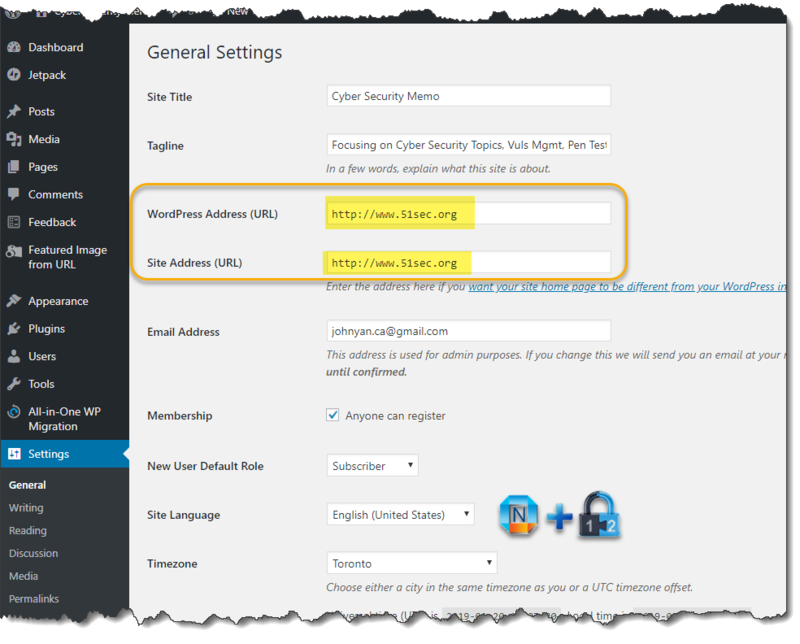 6.2 Your WordPress address and Site address should still be your EC2 public ip address. You will need to change them to your site URL as shown in following screenshot. 6.3 DNS A record Change. Since you got a new public ip address for your Wordpress site, the A record will have to change to match this change. If you want to keep your existing WordPress site and new WordPress site, you will just need to add a new A record. You will get a load balance for your site from DNS server queries.